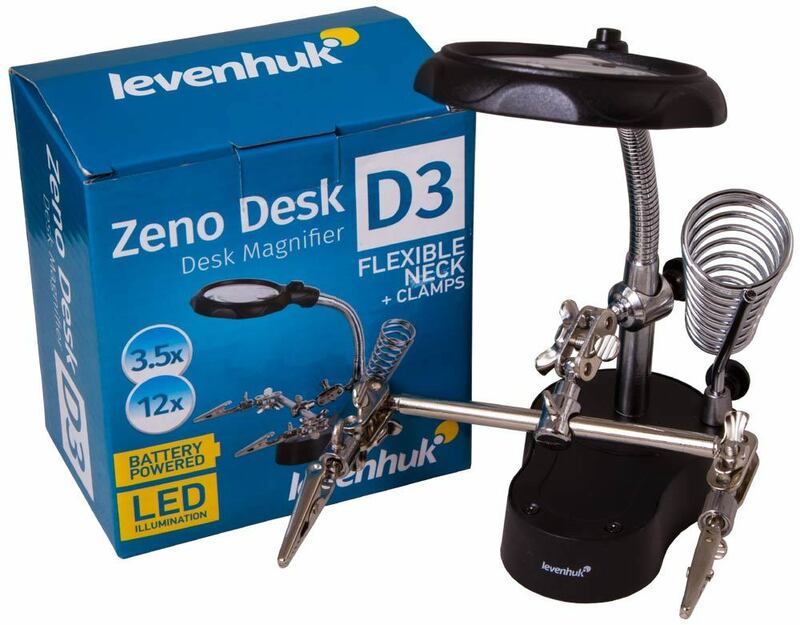 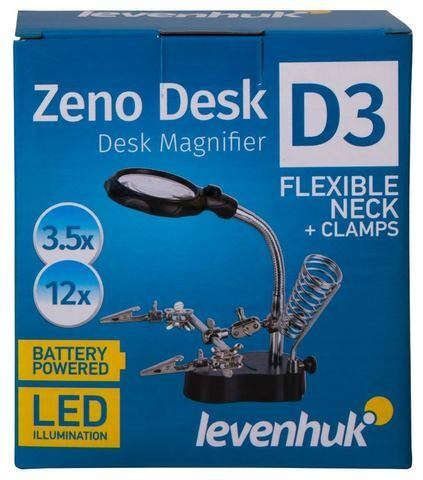 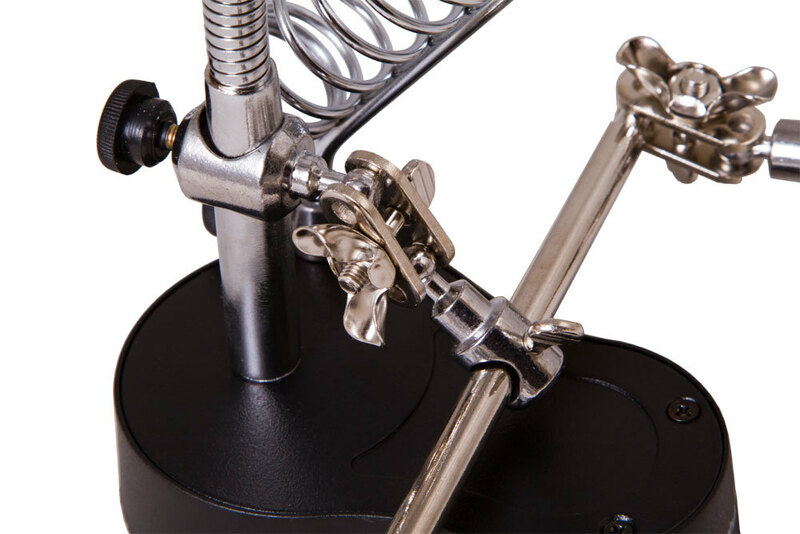 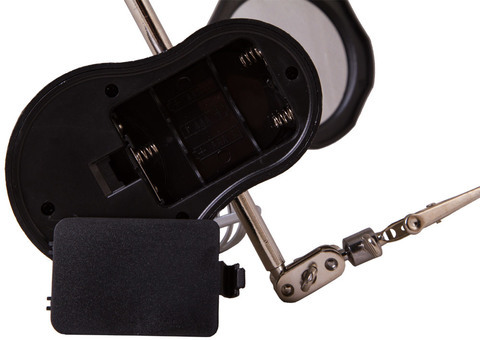 Levenhuk Zeno Desk D3 Magnifier is great for working with printed boards, for precision electronic operations, soldering, repair, jewelry making or modeling. 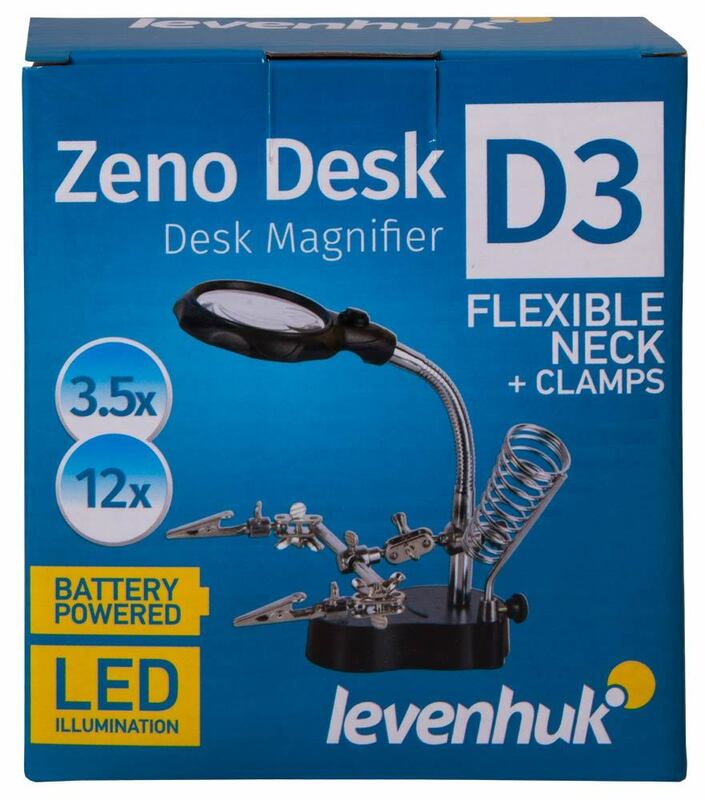 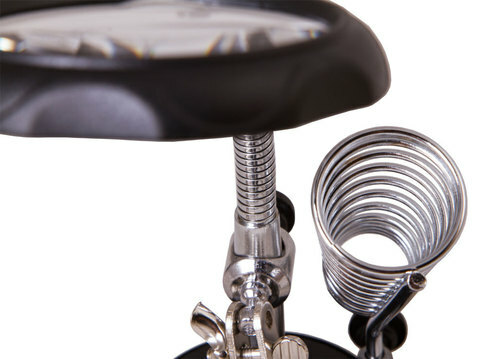 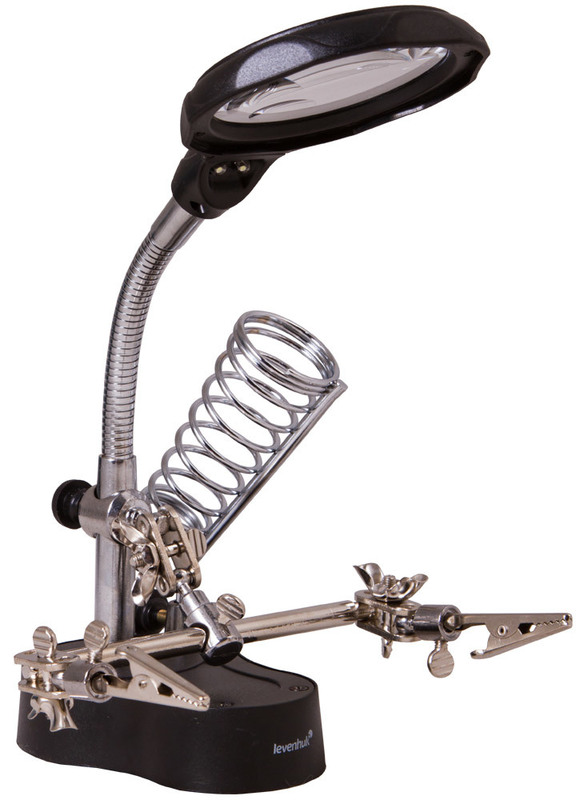 Apart from the magnifying glass on the flexible neck, Levenhuk Zeno Desk D3 Magnifier also has a third hand. 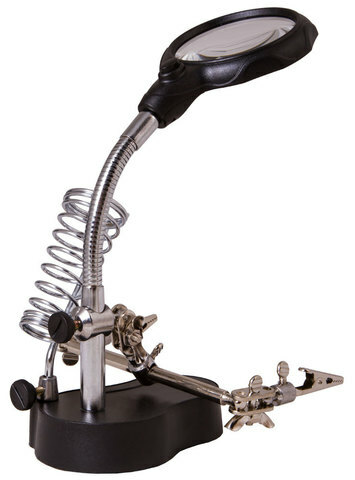 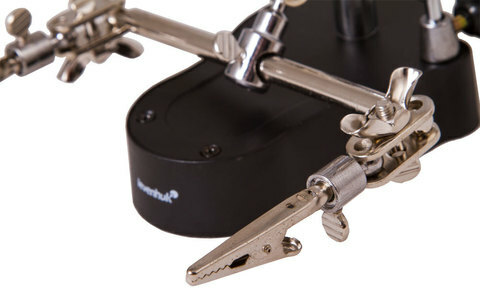 This tool helps to firmly fix any electronic boards or tiny objects and makes longtime work much more comfortable. 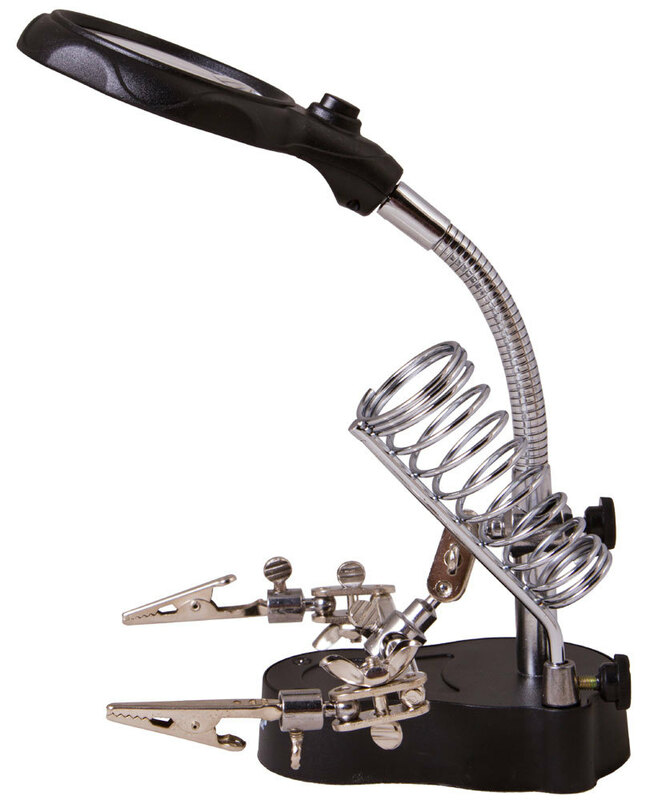 One more holder is available for keeping your tools nearby while working. The built-in illumination with its two bright LEDs is effective for working under low light conditions. 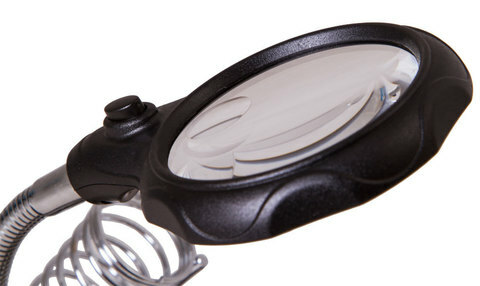 The larger lens provides 3.5x magnification, and the smaller one, 12x. 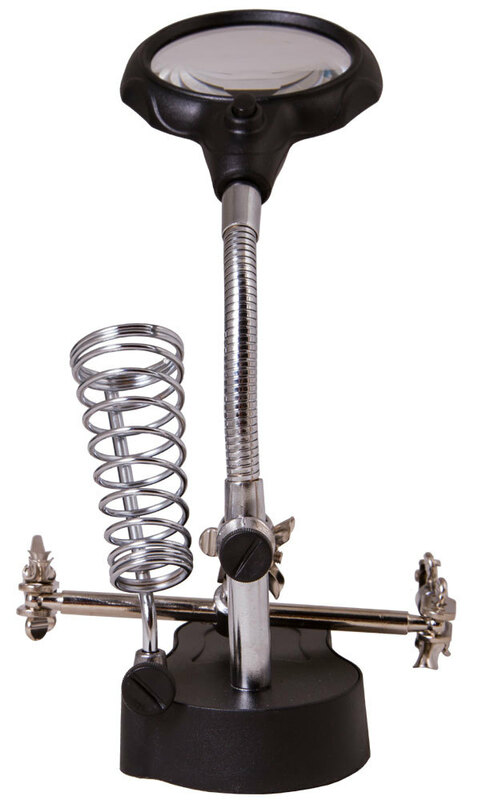 General use product. May be used by kids over 3 years old.